New Apple Watch Dashboards & Improvements, graphs, and more. 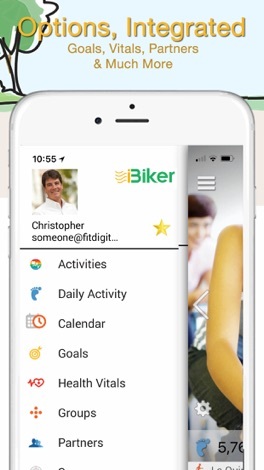 iBiker, the ultimate free cycling and indoor spinning tracker, will track your routes and rides, helping you monitor your indoor or outdoor cycling and training by distance, route, speed, and time. 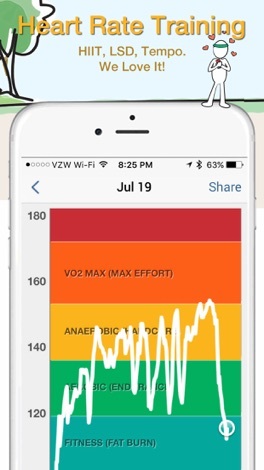 Get performance coaching on rides with voice feedback, splits, in-workout pictures, and plenty more. Everything you need to make your rides great. iBiker can support other activities too, runs, Crossfit and more. Track all you need to keep a healthy heart, stay healthy, or lose weight, from daily steps, to hard gym sessions (Indoor Cycling studios love us! ), to cycling at the beach or in the beautiful mountains. Got an Apple Watch, or a Polar, Scosche, Mio or other bluetooth low energy heart rate monitor? We bring your heart rate and training zones to life, guiding you through what you need to do to be effective & get more out of your training. 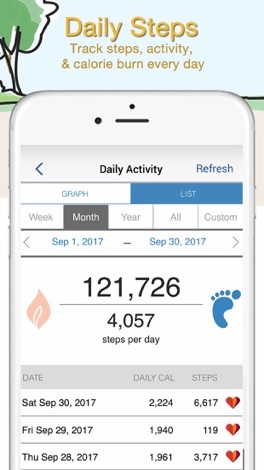 Daily Activity tracking is so critical to health, we track daily steps and calories from your phone or via Apple or one of our other supported partners. 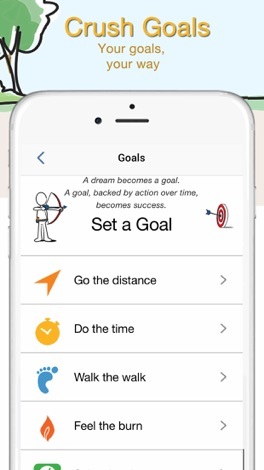 Set step and calorie goals and crush them! 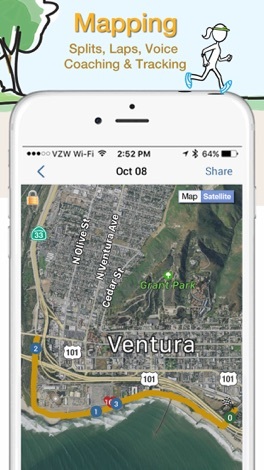 * GPS routes for any of your outdoor workouts. * Voice feedback during your workout. 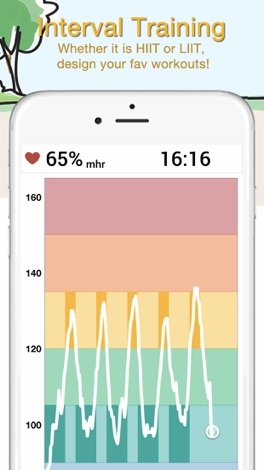 * Track critical health metrics such as weight, blood pressure, resting pulse and sleep. Plus – Single purchase, no expiration. $6.99 USD. 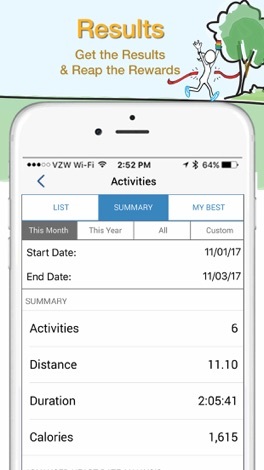 * Track your real workout calories. 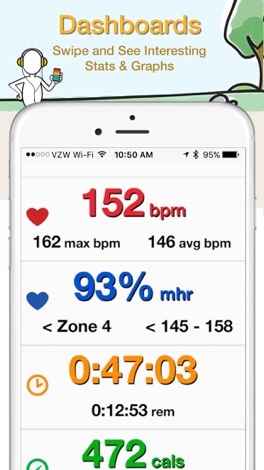 * Real time heart rate charts. * Use the Recovery option at the end and see how well your heart recovers. 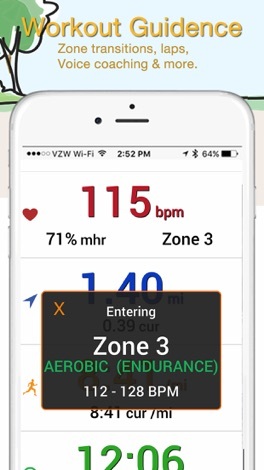 * Fitness assessments & custom Heart Rate Zones. All payments will be charged to your iTunes Account at confirmation of purchase. Note that subscriptions automatically renew unless auto-renew is turned off at least 24-hours before the end of the current period. Your account will be charged for renewal within 24-hours prior to the end of the current period, $12.99 per year for the Pro Plus, $29.99 per year for the Star. Any unused portion of a free trial period, if offered, will be forfeited when the user purchases a subscription defined above, where applicable. Subscriptions may be managed by you the user. Any auto-renewal may be turned off by going to your user's Account Settings after purchase.